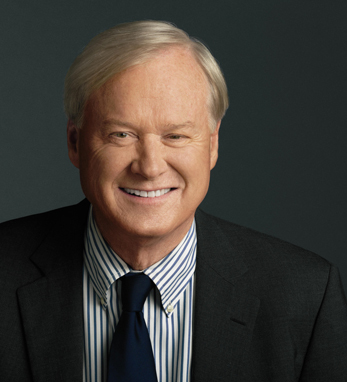 Chris Matthews has been the host of “Hardball,” an hour-long political show that airs weeknights MSNBC, since 1997. He was also the host of “The Chris Matthews Show” from 2002 -2013, a NBC-syndicated half-hour weekly Sunday program. Matthews was born in Philadelphia, Pennsylvania, the son of Mary Teresa (née Shields) and Herb Matthews, a court reporter. His father was a Protestant of English and Northern Irish ancestry, and his mother was from an Irish Catholic family. Chris fondly remembers his paternal grand- mother, an immigrant from Northern Ireland who, once widowed, single-handedly built a successful laundry service. “She spoke with an Irish accent and conveyed a strong, upbeat, fun-loving attitude her whole life,” he said. Raised Irish Catholic, Matthews attended Holy Cross College, and after a stint in the Peace Corps moved to Washington in 1971. He worked for various politicians including Tip O’Neill and Ralph Nader and went on to become a speechwriter for Democratic president Jimmy Carter. He turned to journalism after that and soon became the Washington bureau chief for the San Francisco Chronicle, and his fiery on-air style as a commentator on shows such as the McLaughlin Group earned him his own show. Matthews is the author of numerous books including his latest, Tip and the Gipper is about the relationship between Speaker of the House Tip O’Neill and President Ronald Reagan. He holds honorary degrees from numerous universities and colleges, including Washington University, Howard University, College of Holy Cross, and Fordham. Matthews is married to Kathleen Matthews (née Cunningham), Executive Vice President of Marriott International.